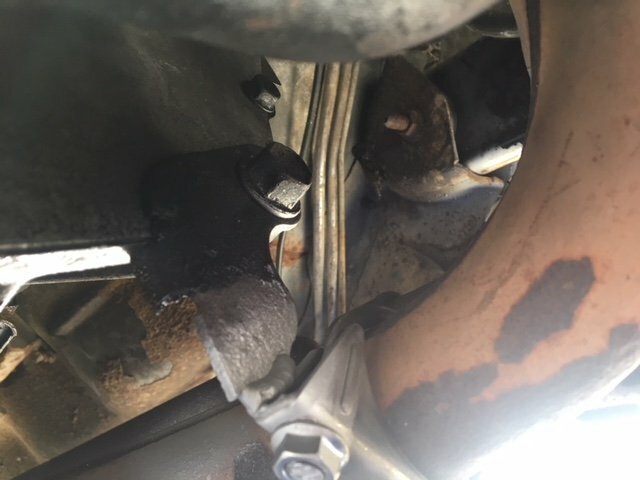 My manifold has some cracks and I’m looking to replace it. I’ll be replacing the manifold, down pipe, and cat, most likely dumping it after the cat. I was looking at the Pace Setter header, https://www.jegs.com/i/Pace-Setter/766/70-1191/10002/-1?ymm=4294829838+4294829873+4294829106 It’s a bit cheaper than the Borla, Gibson, and so on. Maybe a bump on this one will help?? Any suggestions or anyone use the pace setter? I bought a manifold off Amazon for $60 as "open box" and it worked just fine. Had to paint it myself but high heat spray paint is cheap. I'd imagine you can find the rest of the exhaust pipe you need for relatively cheap as well. I've never bought a full kit like your looking at so I can't really comment on any full kits, I've always pieced my exhausts together. I've heard those cheapo ones end up cracking again just like the stock ones. How many miles have you put on yours? 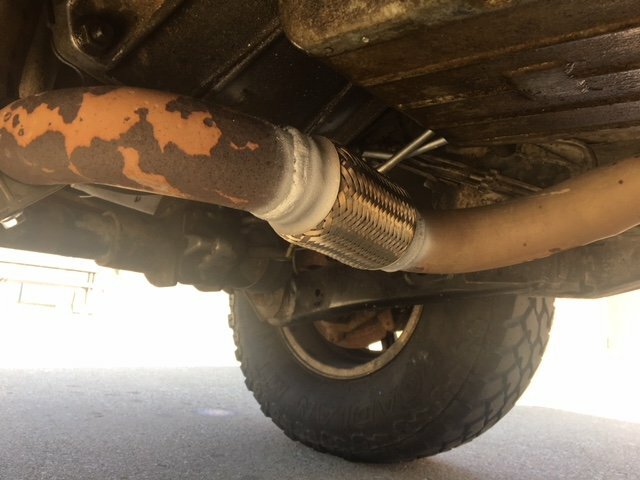 Where would the flex pipe go? after the down pipe? I'd heard that the originals are pretty darn good as far as performance. 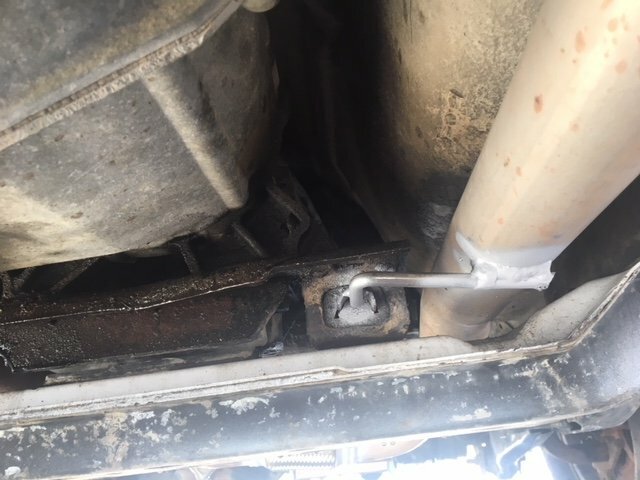 It's just that they tend to crack--like new ones probably will especially if you don't install the flex pipe and ensure your hanger system is up to par. I would suggest welding in gussets, especially focusing on the last 2-3 primaries (if not using gussets between all). That's what I did when I repaired my original header to help prevent future cracks. Now that I'm back up and running, I am concerned about my exhaust header cracking again. I had welded the cracks on my header when I had it out of the vehicle and even welded on a gusset between the last two primaries. Upon advice from the forum, I had a 6" flex pipe welded on my header pipe. So, I feel much better about hitting bumps and flexing my truck now. He charged me like $30 for parts and I think $80 labor, which I didn't feel was too bad. I have a flux-core welder and can get by with minor welding, but I was really ok with giving this job to a pro. I feel it paid off as I learned a thing or two from them today. I've actually never heard about replacement manifolds cracking, I've always heard people have issue with the flange size being wrong or it being warped causing a leak at the block, which was my concern when ordering cheap. There may be some company that uses the OEM design, which in turn would cause the cracking but I didn't see any when I was looking. Most are a redesign with two flexpipe sections built into the manifold and better welds where the pipes collect. If you look at what's available on the cheaper side, the exact same design manifold price ranges from $60 to almost $200 depending on where you buy it from. The most rediculous price swing for the same product I've seen in a while. 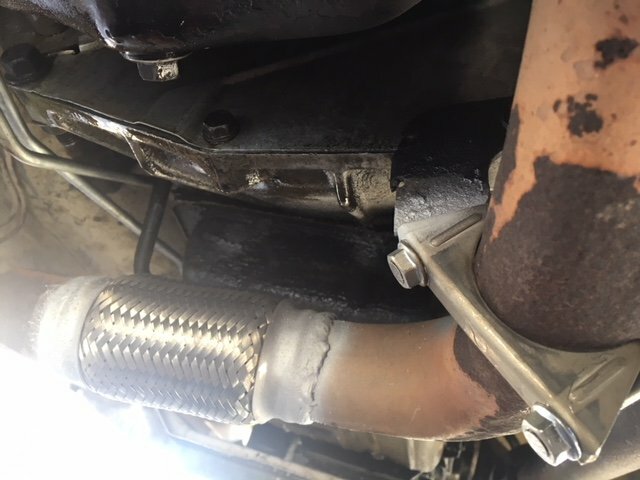 It also makes a huge difference by installing the flex section downstream so the entire exhaust is able to move and further reduce the chance of cracking. If you look at google, you'll find pictures of even the most expensive manifolds/headers cracking over time, which to me says the key really is the flex section. The cheapo manifold I got is the same one that has the crazy price range and has the flex pipes built in. I didn't add a flex downstream because I'll be completely redoing the exhaust at some point in the near future so I'll do it then. I've got maybe 1000 miles on it since I installed it so I don't have any real results yet. @coolwind57 thanks for all the info and pictures. 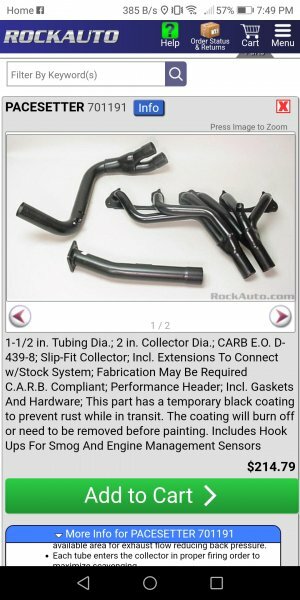 I’m still up in the air of using the stock manifold design or buying the more expensive header. I’d add the flex pipe to what ever I do. Yes that is the style I have. Amazon has them for $70, I got mine as open box for like $60. Same exact manifold just different vendor. That extra pipe on the manifold in your picture is a preheater tube for the Renix models I believe. Someone correct me if I'm wrong. After some digging, it is a tube for hot air intake. Did you get a header with the port for the O2 sensor? No, the O2 sensor is below the manifold on mine. Probably changed for HO as it seems the Renix manifolds have the bung on them. 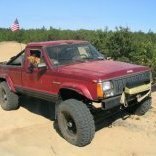 I did have a Pace Setter on my '88 Comanche. It was Ceramic Coated. At the time a good deal. I ran it for a few years. It had a few chips on it, but no rust. I think good quality back then. I think some have had quality issues with them. Also, they , Clifford and Boral (?) had the ERG bung on them. I did buy a Clifford to replace the Pace Setter. I haven't run that setup though. Presently running a ceramic coated Doug Thorley header on my XJ. I like it. I bough a second one for the MJ. 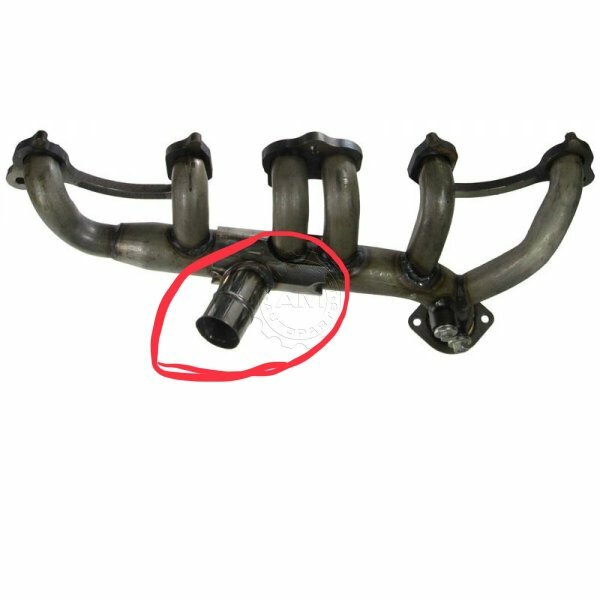 Upon looking more into headers I found that the best reasonably priced header is an APN for HO engines (fits renix with proper downpipe and slight grinding of intake) but sadly no where carries them anymore from what I can tell is pacesetter and Ebay the only options now for decently priced ones? I've got the Pace Setters. I welded them together. So far so good! For the HO motors, the generic replacement manifolds with the bellows on each end are the way to go. Rockauto has them for $80. For over a decade, I have looked at every XJ in the junkyard I have come across. EVERY stock manifold has the cracks near the collector. Once, I found a Borla header. On a several other occasions, I found these replacement type manifolds with the bellows on each end. $35 out the door, pressure wash, high temp aluminum paint, new manifold and donut gasket and done. I have junkyard replacement manifolds on my XJ (5 yrs) and MJ (5 yrs) and both still going strong. 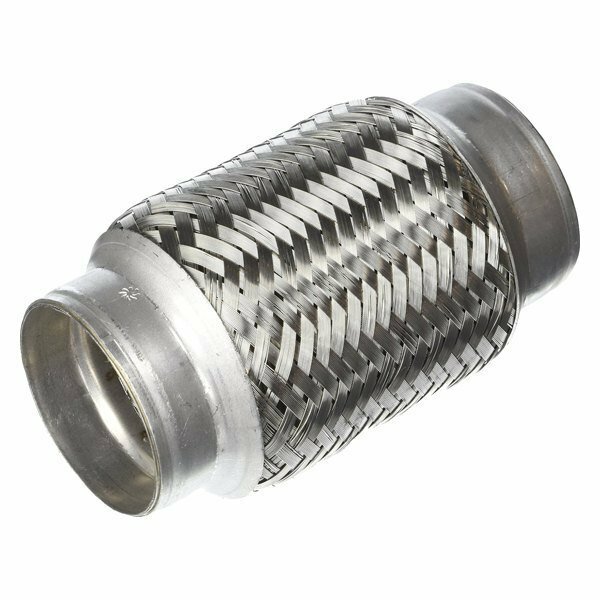 No flex pipe in downstream exhaust. That's why the flex pipe. It takes strain off the header.